Krishna Kumar Roy found Lord Ganesha's image and signature on his admit card. 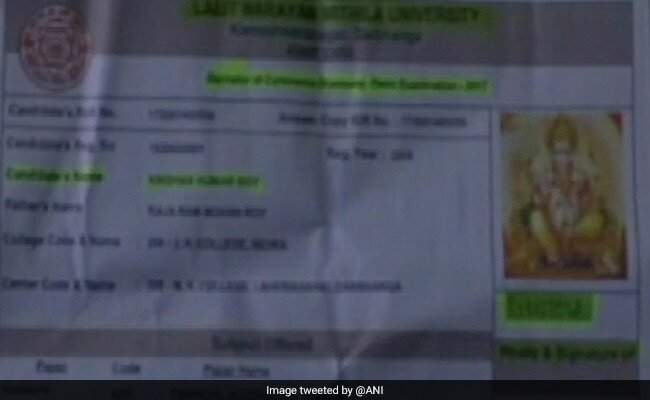 Bihar: A first-year student in Bihar was amazed to see Lord Ganesha's picture on his admit card. Others from his college found photographs of actresses on theirs, he said. 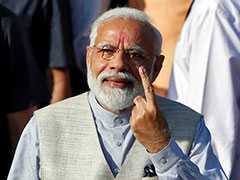 Krishna Kumar Roy, a B.Com (Honours) student at Lalit Narayan Mithila University's JN College in Darbhanga, about 145 km from state capital Patna, was issued an admit card that had the picture and signature of the Hindu god. "At the time of registration, I had checked all the details before signing it. However, when I took a print-out of the admit card, I was shocked to see Lord Ganesha's picture and signature. Some details were also changed. Meri jagah kya Ganesh ji aake exam denge kya (Will Lord Ganesha write the exam in place of me? )," said Krishna. He blames the university, one of the 16 state-run universities in Bihar, for the goof-up and accuses the officials of inaction. Bhagwan bharose chal raha hai vishwavidyalaya (The university is functioning at God's mercy), he said. "A lot of students from my college faced similar problems. We made several rounds of the college to get it rectified. We had to submit our documents again. But whenever we inquired about our admit cards, we were turned away. This went on for over a month. They are playing with our lives," he added. The university, however, steered clear of the mess. According to news agency ANI, the controller of examination, stressed that the mistake didn't happen at their end. "The student had submitted his examination form online. The person at the cyber cafe could have replaced his image with Ganesha's before submitting the form. The university isn't at fault," he said. The registrar told ANI that the fault was fixed in time and the student was allowed to sit for the exam. Man Drowns During Ganesh Idol Immersion, "Didn't Realise Water Was Deep"